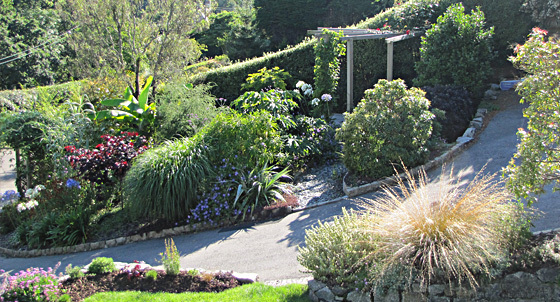 Situated in a beautiful area, this house had recently been modernised and the garden was in need of updating. This was a major job with a large amount of hard landscaping. 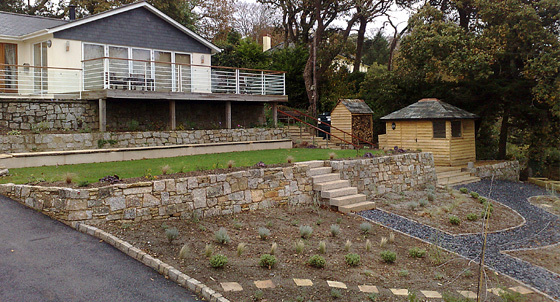 The landscaping comprised of a 14 meter retaining stone wall with large granite stone steps leading up to a levelled lawn area, which is bordered with green oak benches. 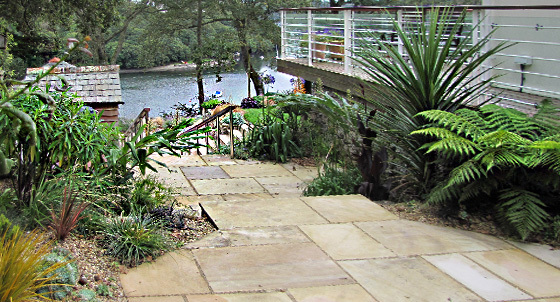 A series of sandstone patios and steps were laid which lead along the length of the garden. I also built a bespoke potting shed and log store, along with a small pergola and seating area. 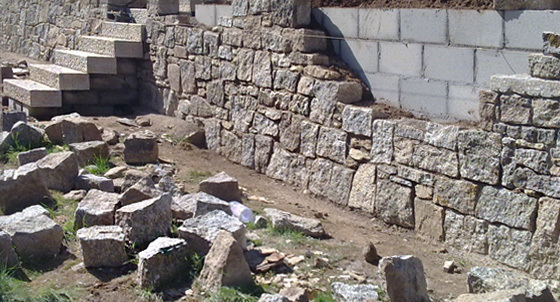 Building walls, steps and laying paving. The whole job nearing completion. The sandstone patios leading down to the lawn. A return visit and the plants are maturing.